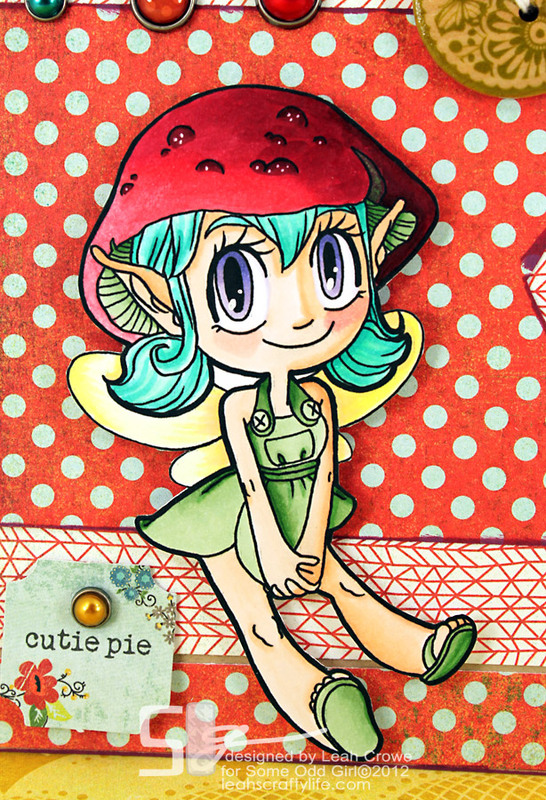 Leah's Crafty Life: Mushroom Fairy! Woohoo it's Wednesday which means it's halfway to the weekend! I've been so happy to show you the newest fairies this week from Some Odd Girl. Ready to meet the last little lady from the new release? Since I've been using Copic Markers (it will be a year come July) I normally would only keep the light source coming from the top left or right. This time, I experimented with a different direction, and I have to say, I really like how it came out. I hope you've enjoyed seeing the new fae from this week! They were a dream to color! 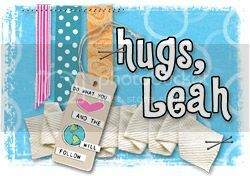 Stop by the Some Odd Girl blog to see the other DT creations, answer a question with Leah the Orange.. or hop by and join in on the Monthly challenge! 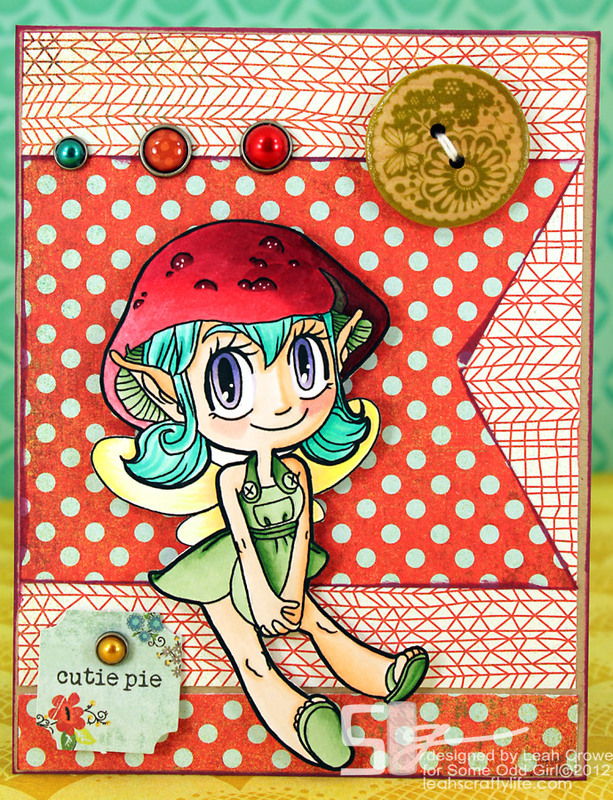 I'll see you back here tomorrow to share a Clear Scraps send it clear card creation with you. Have a great day!! Leah she is so amazing...totally love your card...great color combo and your coloring is amazing..
She is a cutie pie!!! I know what you mean about the light angle, I need to switch it up more often myself! Looks awesome! Very cute!! Super fun card! You soooooooooooo ROCK the coloring my friend!! This is WOW!! I loveeeeeeeee the colors and the brads!!! And loving the new blog header too! !